While many may consider the task of beating Winx in the Gr.1 Cox Plate (2040m) in three weeks to be a monumental challenge, for Michael Pitman, trainer of rival Savvy Coup, it is nowhere near as daunting as the personal battle he is about to undertake. Pitman will go under the surgeon’s knife on Monday in a bid to beat bowel cancer. The 63-year-old was diagnosed back in February and has endured bouts of chemotherapy and radiation treatment over the ensuing eight months. 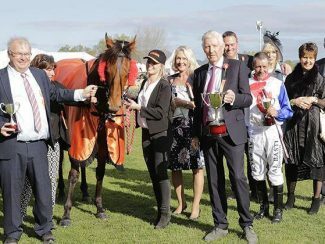 The champion South Island trainer has remained upbeat throughout and has been overwhelmed with the support he has received from the tight-knit racing community. However, emotions spilled over at Hastings on Saturday as Pitman’s New Zealand Oaks winner Savvy Coup notched her second Group One victory when winning the Livamol Classic (2040m) in effortless fashion. “My emotions did come out a little after the race yesterday but it was as much about winning with this wonderful mare as it was about what’s going on in my life at present,” Pitman said. “We were just so confident about her chances and then for her to go out and deliver like that was just amazing. “What made it even more special was that I could share it with my wife Diane and a number of people who have been so supportive of me. “Actually, my phone went dead for a while and when I turned it back on I had more than a hundred messages of congratulations, so that was very humbling. Pitman, who prepares the mare in partnership with his son Matthew, had been bullish about Savvy Coup’s prospects for the race ever since she produced an eye-catching fresh-up performance for fifth behind Melody Belle in the Gr.1 Tarzino Trophy (1400m) on the first day of the Hawke’s Bay carnival. 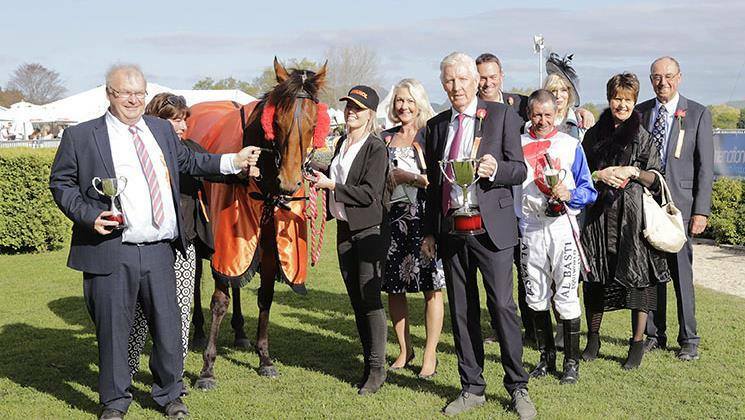 “When she ran fifth that day with no room in the run home I said to Chris Johnson (jockey) then that I thought she would be very hard to beat in the Livamol,” he said. “I thought she had really matured from three to four and was over a few little niggles she had last season. “She had a few problems with corns in her feet last season but so far this prep she has been as good as gold and everything had gone so well. All going to plan, Pitman will be at Moonee Valley in three weeks’ time to saddle his bonny mare. “I’m going for keyhole surgery tomorrow, where they will remove a section of my bowel to take out the cancerous growth and surrounding tissue,” he said. “As long as it all goes well the doctors have said it will mean a 7-10 day stint in hospital before I can get home.